Similar to yard waste, construction and demolition waste is often deposited in landfills. For example, the US Environmental Protection Agency (EPA) estimates that the United States generates more than 135 million tons of construction and demolition waste annually. This makes C&D the second largest component in the US waste stream. The EPA has determined that after all other recycling means have been met, there is still 17.3 million tons of clean wood waste entering landfills. 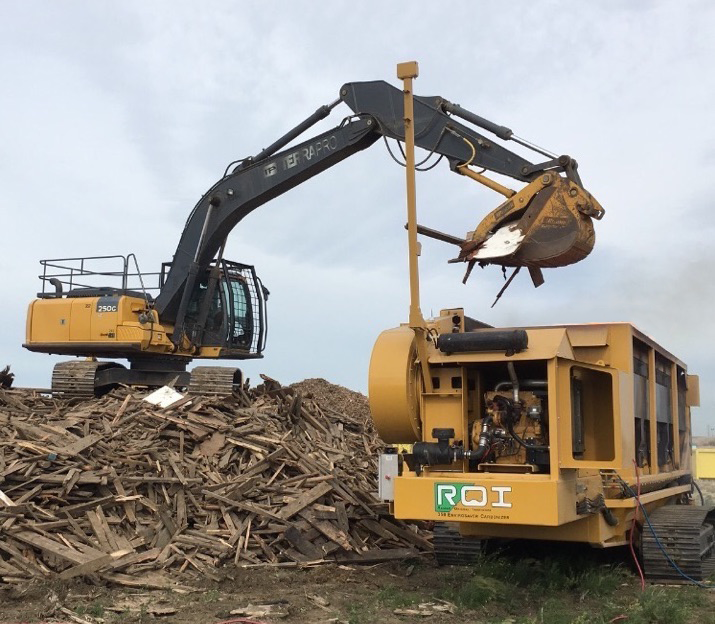 Land clearing debris, pallets, crating materials, construction and demolition lumber waste are classified as C&D waste because of its limited value and lack of beneficial use markets. Utilize an ENVIROSAVER™ or CARBONATOR™ to reduce overall volume while converting this waste stream into a marketable end-product. ROI’s air curtain burner equipment helps facilities generate an additional revenue stream from debris.